ELEPHANT got FRAMEd and MARKed! For our good luck and for my sweet tooth we were luckily lost somewhere in Berlin on our way to the exhibition Illustrative Berlin two weeks ago. 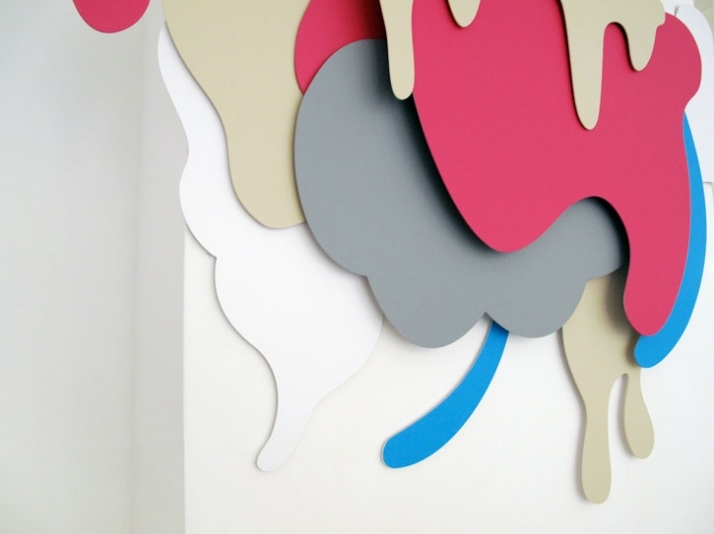 The clean lines and the colorful 3D cut-outs immediately drew our attention despite the fact that we were running late and way out of our schedule. I guess that one of the reasons we also stopped is because my editor in chief, Costas Voyatzis and Yatzer's contributor Apostolos Mitsios, were very tired of listening to me brag about how hungry I was, so what better than to satisfy my appetite with a healthy sweet! 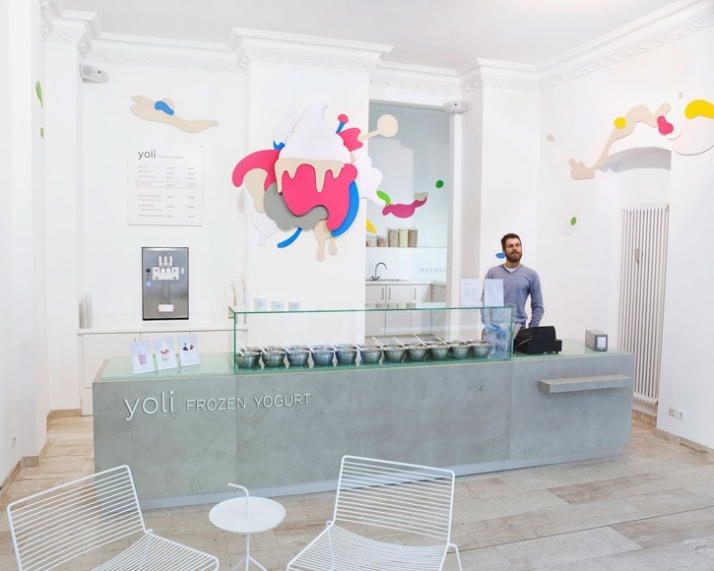 While entering into Yoli the Frozen Yogurt Shop in Berlin, the concept of the shop as well as the materials used create a very clean and fresh setting such as that of the product // yogurt which is clean, pure, white, bold and in this case FROZEN!. 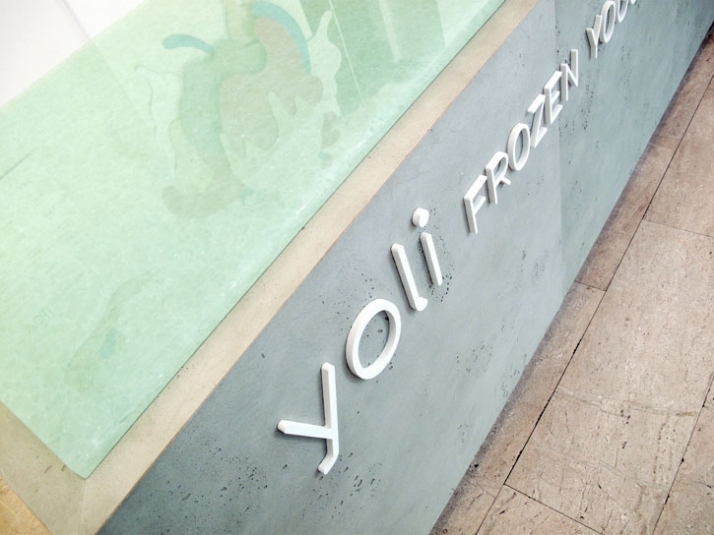 The store is in no way like any other usual frozen yogurt store or chain that we’ve seen thus far; no repetition of the typical images or colors used. 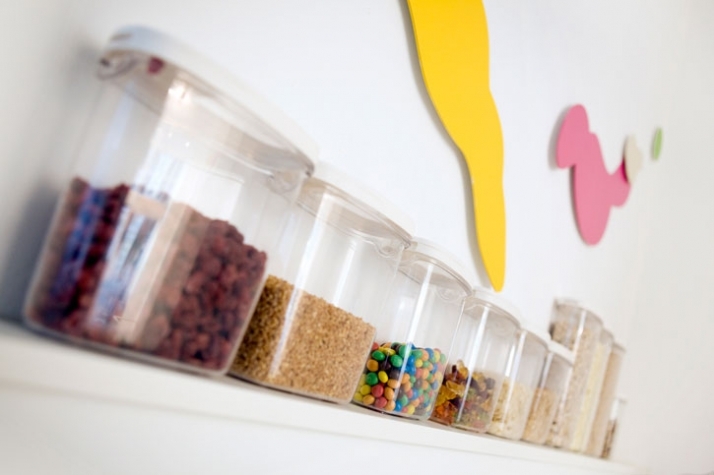 The large windows and the open space plan of the store allows for a relaxing atmosphere which is sufficiently lit with ample of natural lighting thus allowing the customer to feel relaxed while they enjoy their frozen yogurt. 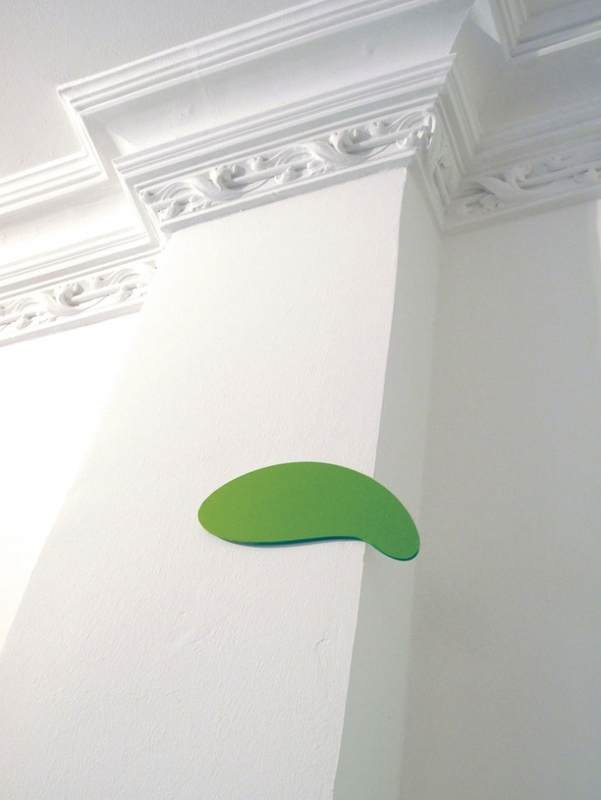 The owners along with Berlin-based Graphic Design Collective Amseldrossel created a store to not only satisfy our taste buds but also our thirst for design! 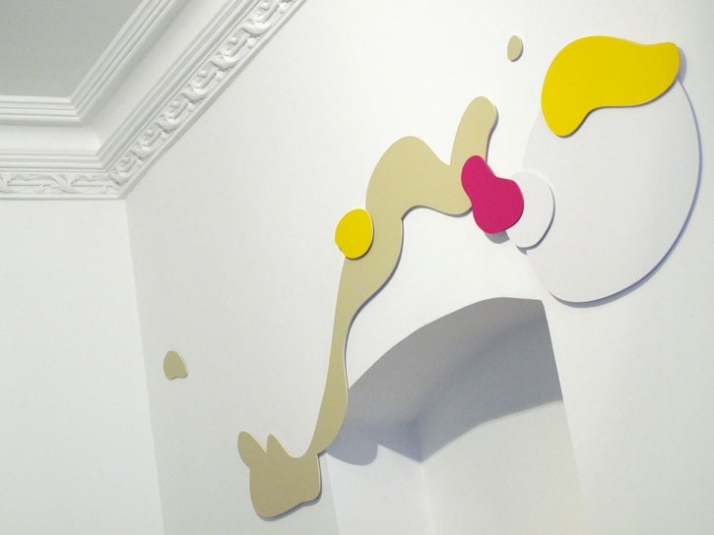 After finding the ideal location for the shop the owners and Amseldrossel designed a space where the white background like the yogurt would act as the backdrop for the colorful toppings which are represented by the layers of colored shapes on the walls; a rather intelligent metaphorical concept. The colorful layered shapes were designed and composed by the designers using a CAD program and the CNC-cut out of white Forex plastic. Finally, the colors were put on the shapes by hand with colored non-reflective foil and the shapes were built into the shop. The seating area continues in the same minimalistic lines and the same concept of the entire shop. 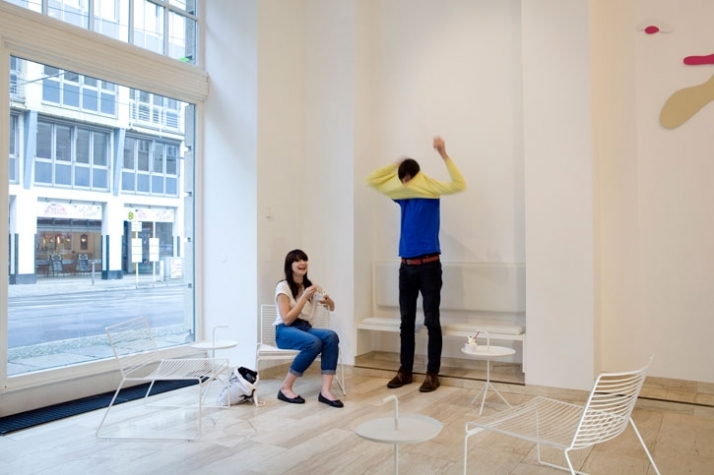 The white chairs and tables from Danish furniture designer HAY symbolize the white yogurt where the customers’ clothing will function as the colorful topping of the white furniture. The sleek minimalistic design continues onto the handmade counter which was custom made by an old school German carpenter, it is positioned nearly in the middle of the room, open on both sides and with space behind, so that the customer can see the preparation of their own very customized frozen yogurt. The wooden base of the counter is covered with a smooth, cementitious covering which looks like concrete in a light gray tone. 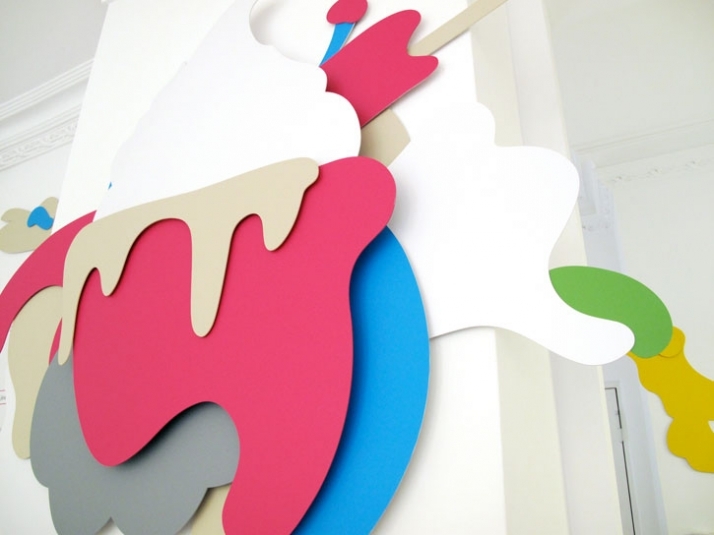 Finally the Frozen Yogurt: which is a piece of art all the way too is fully customized for every customer by allowing them to choose from a wide range of toppings to create their own unique combination in a very friendly environment. 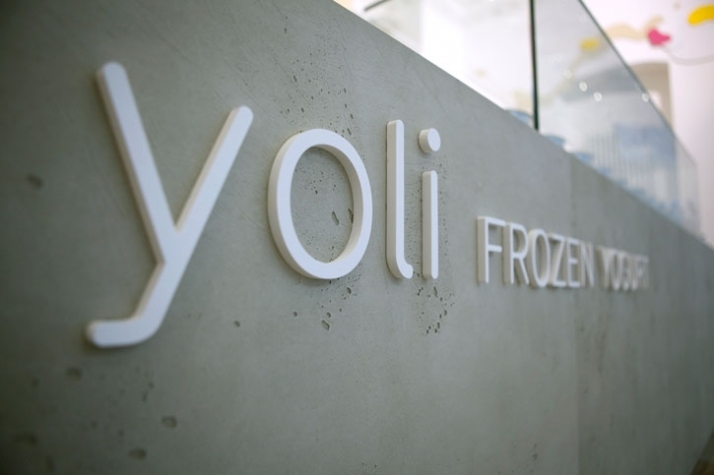 The owners of Yoli Frozen Yogurt were kind, customer oriented, the service was amazing and the prices very reasonable! 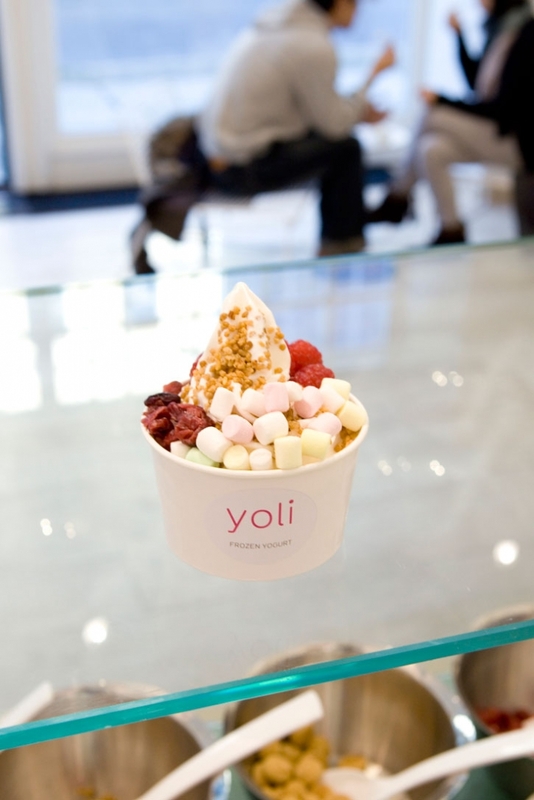 I could only wish there was a Yoli in Athens to satisfy our taste buds and our design aesthetics! 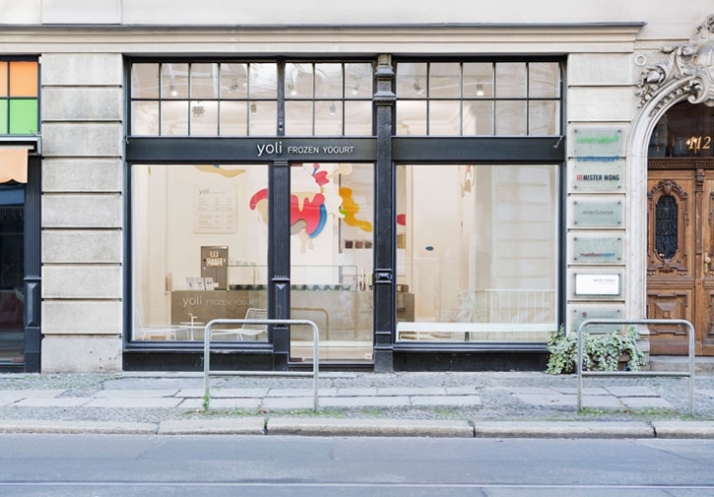 A must see and taste if you’re in Berlin!